Welcome to Part 3 of Everything MSC Magnifica. 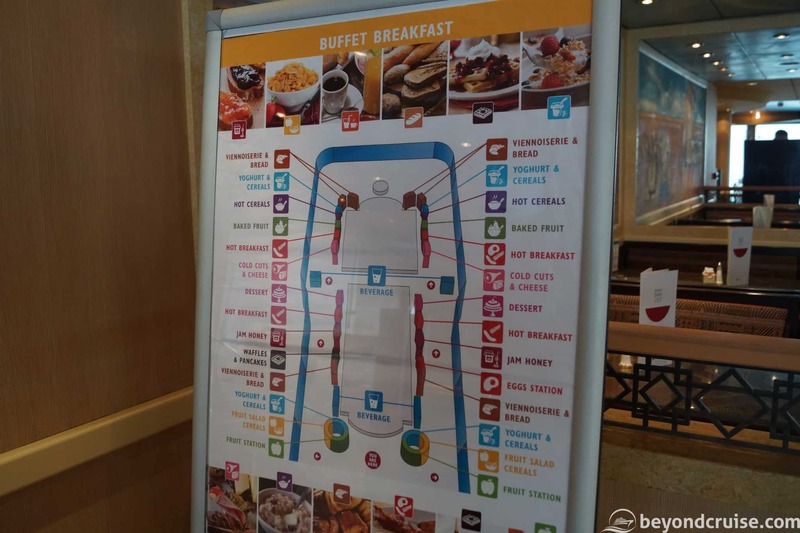 In this guide, we’ll cover all the food available in the buffet to you in a 24-hour period! (If you missed it, our entire 14-night live-blog from our cruise is available to catch up on!). 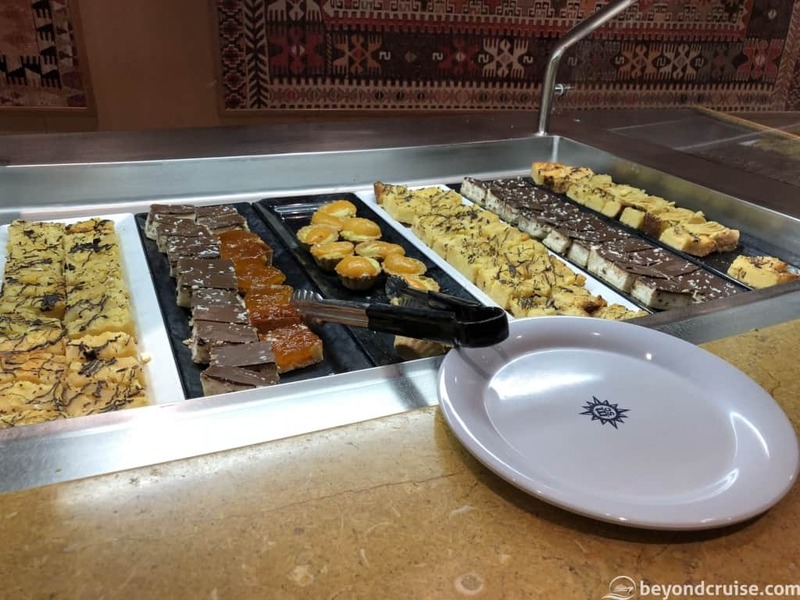 The Sahara buffet on MSC Magnifica is located at the rear of the ship (on both sides) on Deck 13. You can view more photos of it in our deck by deck guide. MSC Magnifica is currently undertaking the Summer 2018 season with roundtrip cruises from Southampton. As part of the British Twists that MSC Cruises are offering on the ship, they’ve recruited an English Executive Chef, Anthony Wilson. 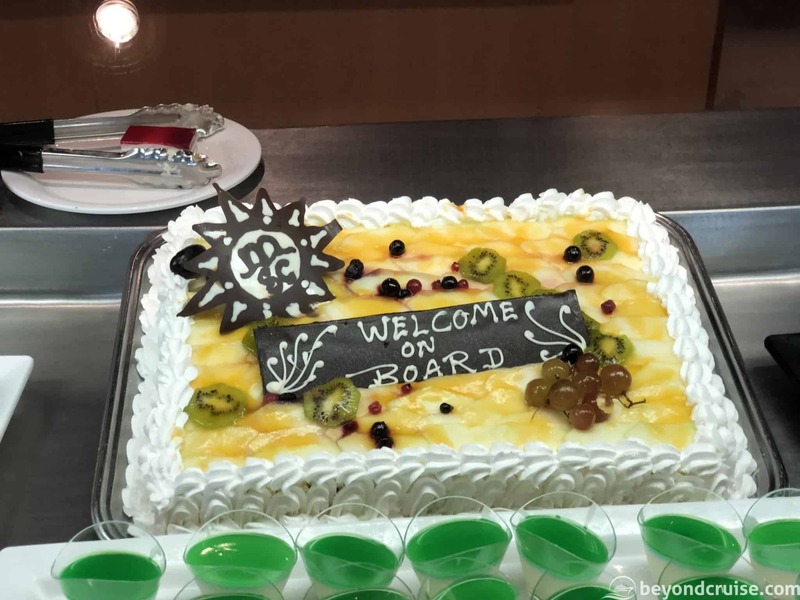 He’s brought his 18-years of cruise ship experience on board to bring the international guests a food experience they can all enjoy. 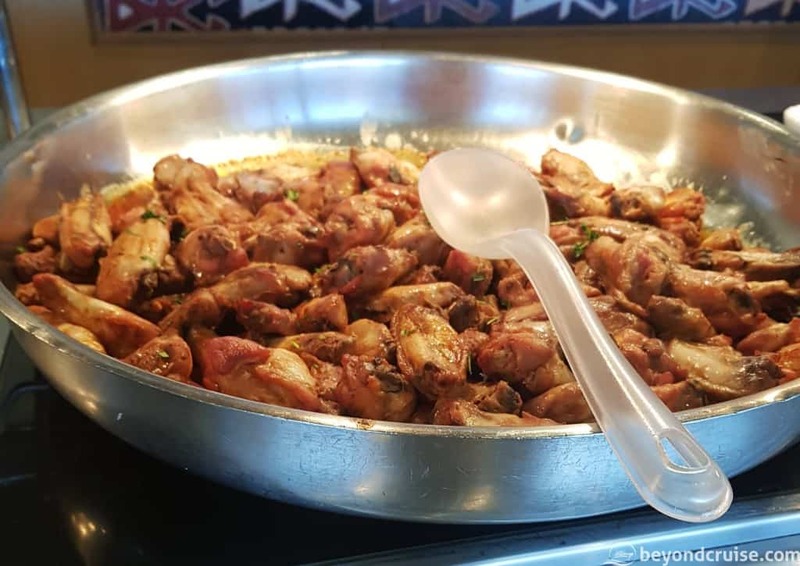 In particular, a special effort has been made to welcome the British guests by adding British familiarities to their menus, the buffet selection and the cabins. A nice touch! NOTE: Please remember this is what we saw during our 14-night voyage in May 2018 – the buffet may have changed by the time you board if the ship is on a different itinerary or in a different region! 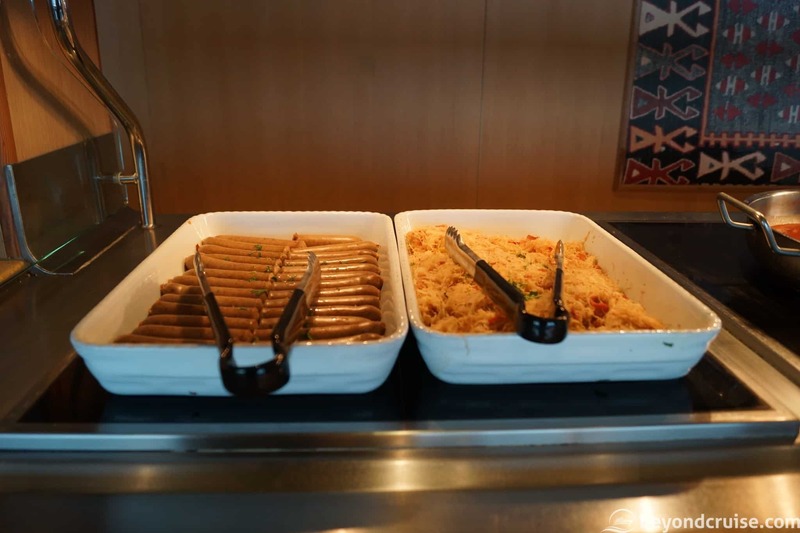 MSC prides itself on the widest breakfast buffet selection at sea for their wide range of international guests. The bakery section, fruit bar and cold cuts (meats and cheeses) selection are also open at this time. 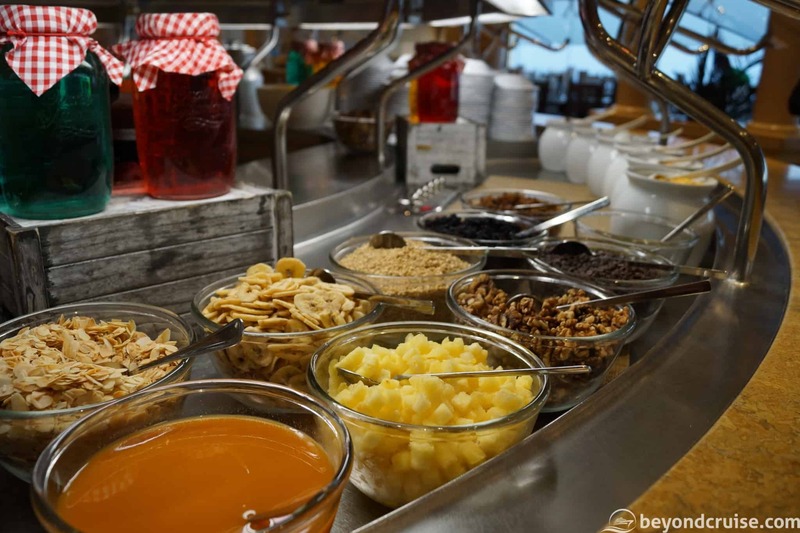 The fruit bar is open to accompany breakfast, lunch and dinner and offer fresh seasonal fruits. The cold cuts section is full of neatly arranged with delicately sliced deli meats and cheeses. 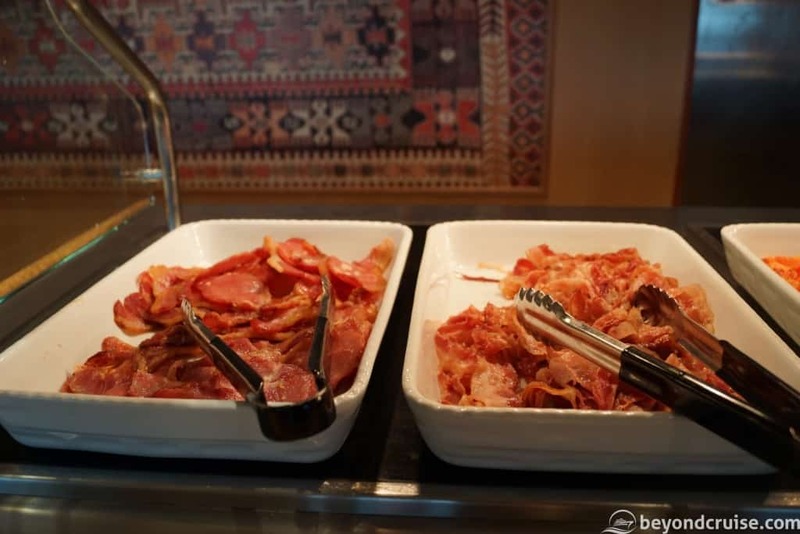 This is the breakfast of choice for many Europeans and is well stocked with a good range of assorted meats and cheeses, with jellies and pâté to be eaten with pastries and bread from the bakery. 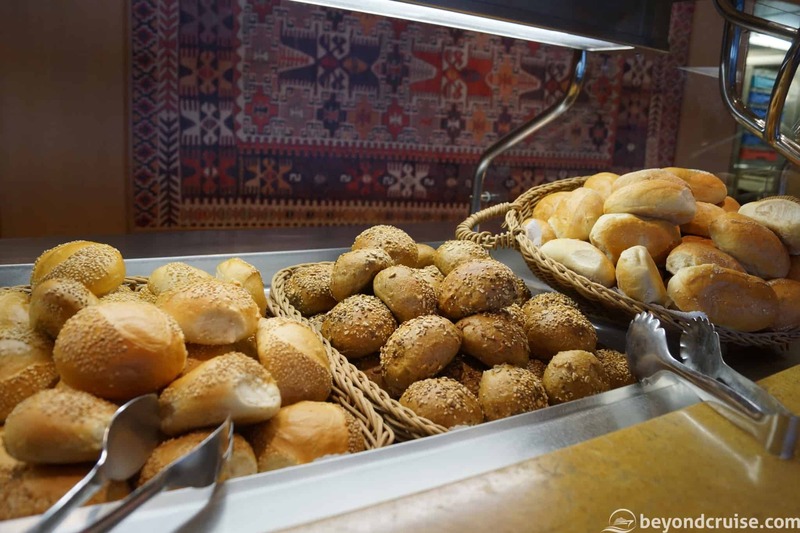 The bakery section has a huge array of different types of bread and rolls and is open during breakfast, lunch and dinner. For lunch and dinner, toast was usually replaced by focaccias and garlic bread. 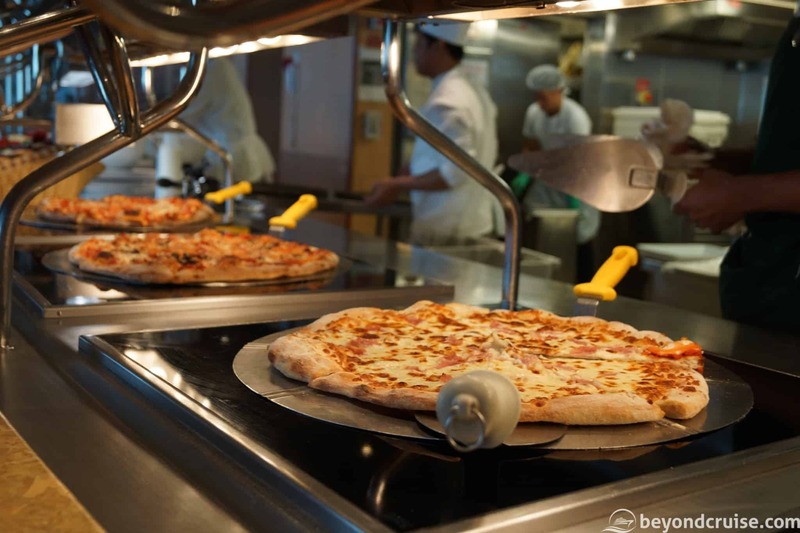 Pizza is made fresh onboard from 11:30am until around 11:30pm each day, you can watch it being made in a special glass section in the buffet. There are four different pizzas available each day. One was usually Margherita, with a wholemeal base and one was usually a cream-based pizza but flavours rotated to give you fresh choices every day and we didn’t find one we didn’t like! 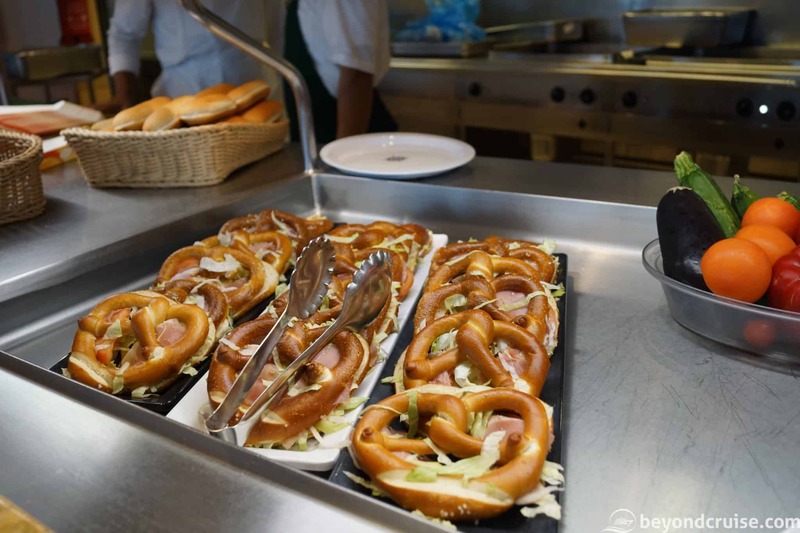 For lunch, there are almost as many hot meal options as dinner but with added fast food options and a range of sandwiches. Meat dishes were served at lunch and in the evening. They rotated throughout the two weeks. 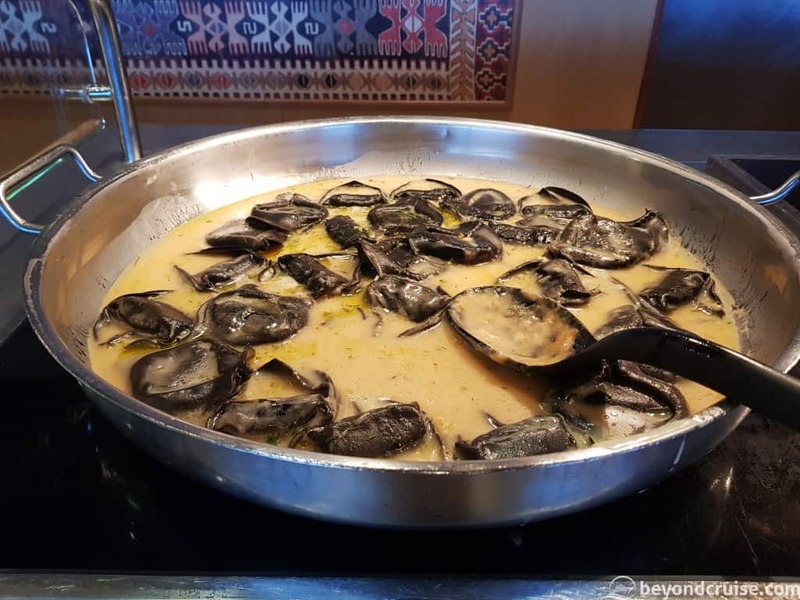 There were many seafood options available in the buffet during lunch and dinner. Again, they were rotated throughout the cruise, but there was generally two available at any given time. 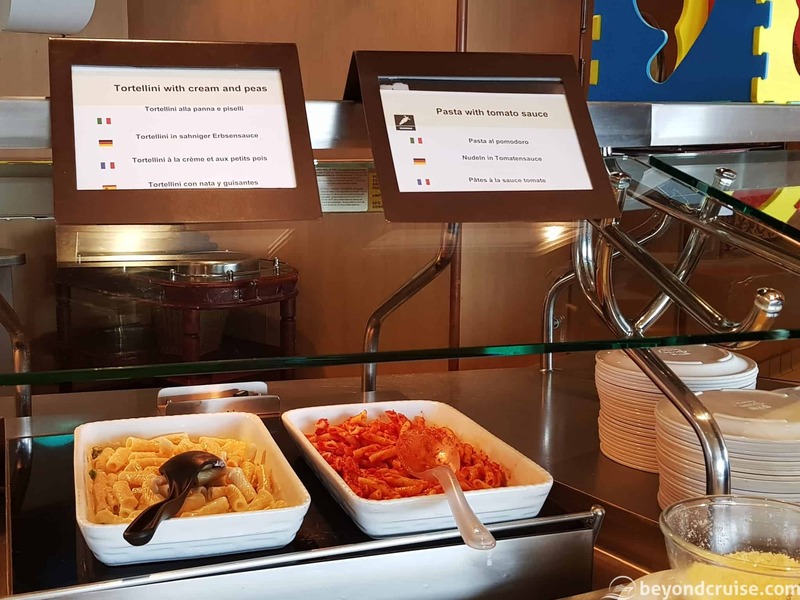 As an Italian ship, you would expect no less – pasta is made fresh daily onboard and the below options are available between lunch and dinner, rotated daily. 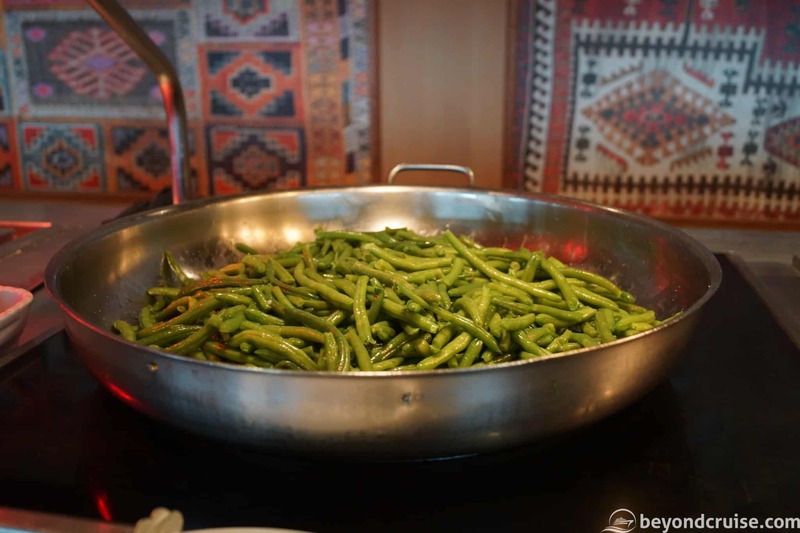 Ethnic dishes below were available between lunch and dinner and rotated daily. We found the majority of them to be located towards the rear of the buffet. 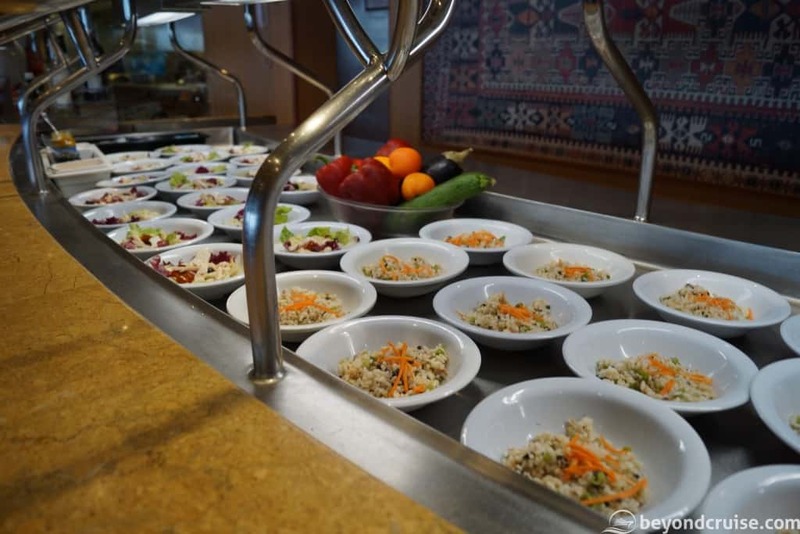 There were healthy options available every lunch and dinner session. These were rotated daily! Salads are available during lunch and dinner and are generally located at the front of the buffet on one of the islands. 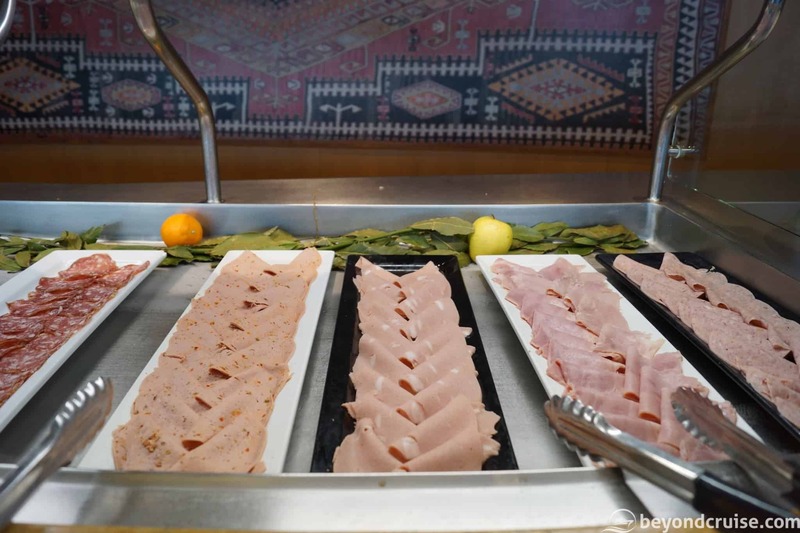 Cheeses and cold cuts are available in their own section of the buffet for anyone who wants to add them to their salads! 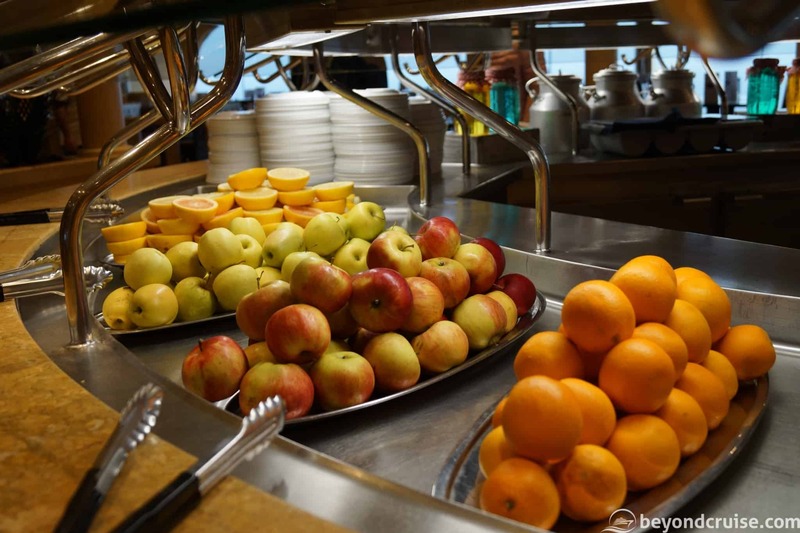 Between 4pm and 5pm daily, the afternoon snack station was open in the buffet. It’s extremely popular and the desserts station is open next to it for even more choice of sweet treats. 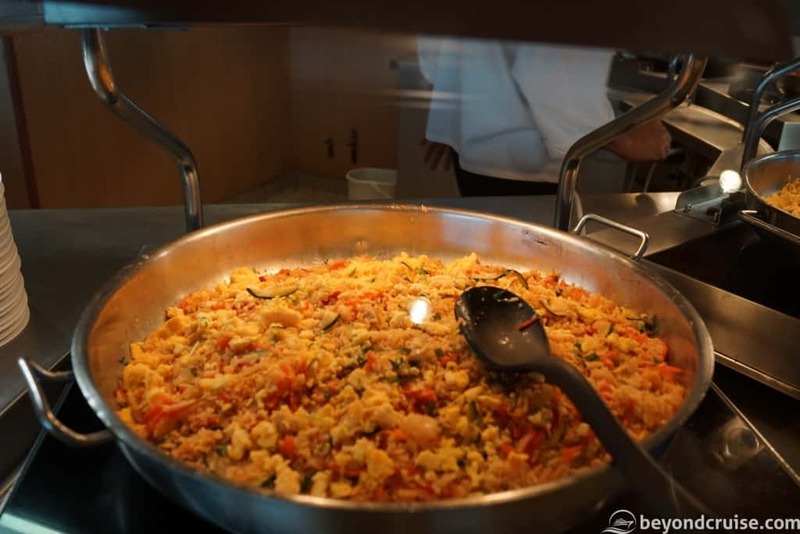 MSC has a special kids section of the buffet where you can always find some kid-friendly options. It is usually located towards the rear of the buffet and is clearly marked with a little archway and barriers to stop adults from using it! 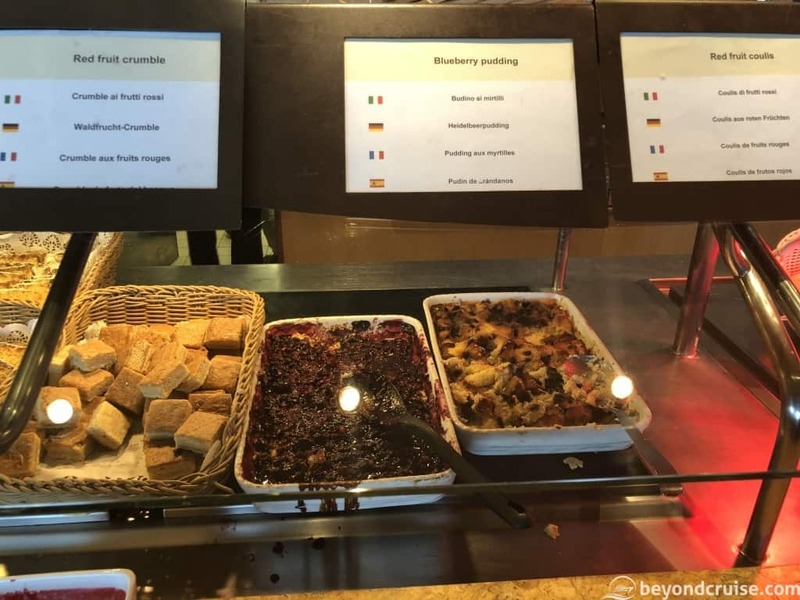 German cuisine can be found during all meal times at the buffet and in the baked goods section. The range of sausages is enormous, we’ve only managed to list a few! Sides were plentiful and available during lunch and dinner. 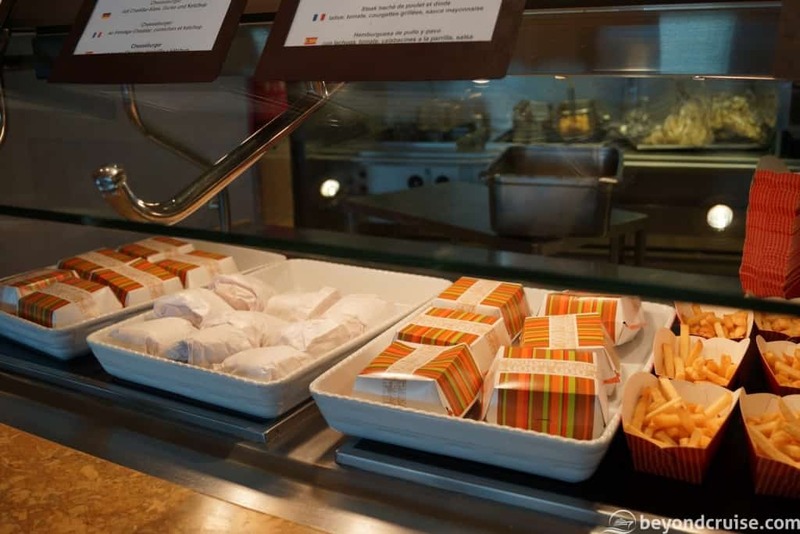 They were rotated throughout the cruise, but certain sides like chips, mashed potato and potato croquettes were available daily. These dishes didn’t really fall into a specific category. 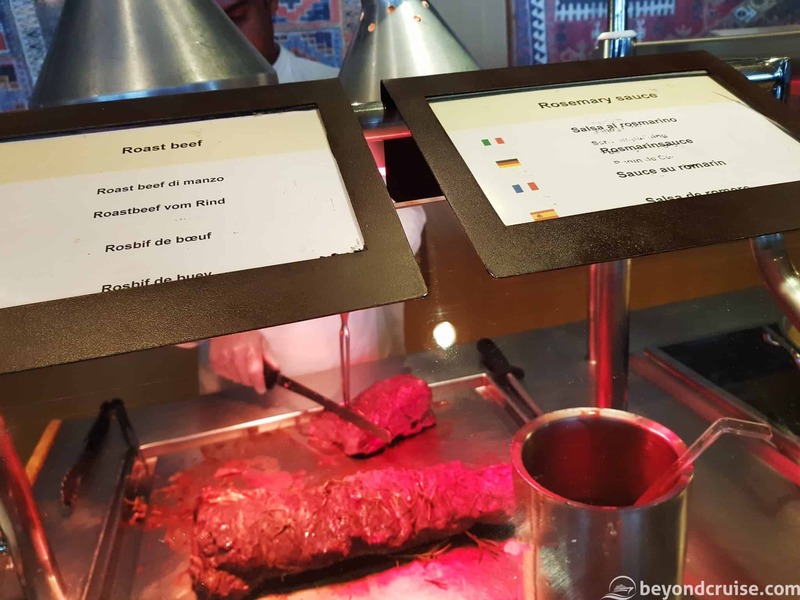 They were available during lunch and dinner and rotated throughout the cruise. 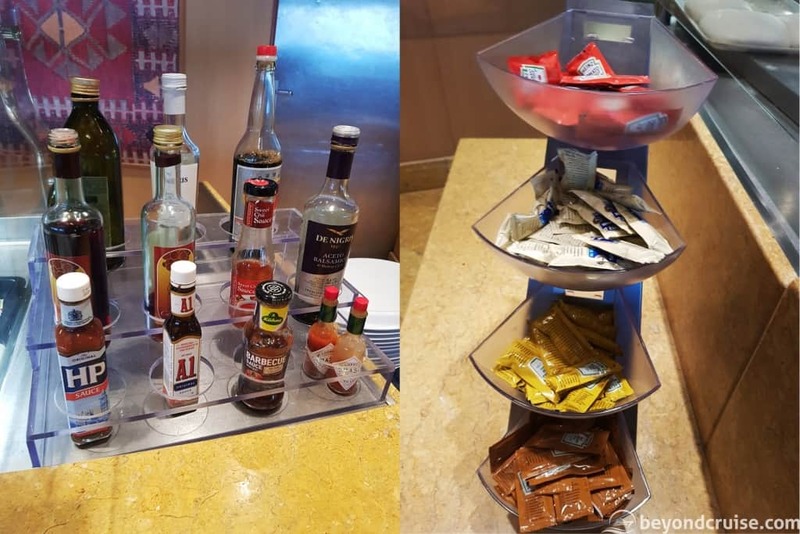 There is a huge selection of condiments that are available throughout the buffet. If you can’t find the one you like, then just ask a member of the crew – they are incredibly helpful! Drinks are available from the bar at the front of the Sahara buffet or the rear bar located in the L’Oasi Restaurant. There are devices on all tables to call a waiter who will come over and take your drinks order or you may drinks in with you. Additionally, there are drinks stations throughout the buffet. 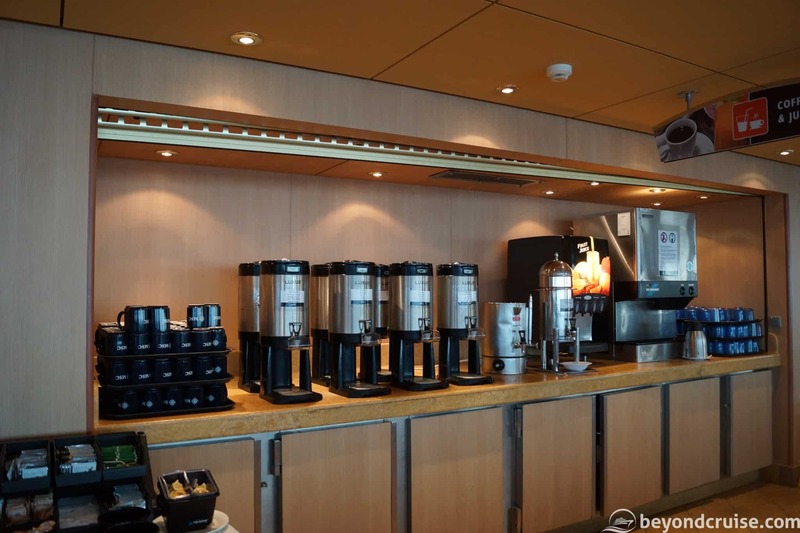 The cold drinks are covered in the breakfast section above, but there is always cold milk, cold water, ice, hot water, filter coffee and various different teas available 24-hours a day in a self-service area. This area has plenty of glasses and mugs too. We hope you enjoyed our extensive buffet guide, please remember that the food on your cruise may be different than what we experienced. MSC Cruises offer a number of dishes that are present throughout their fleet and you may see them on some of their other ships too. Additionally, whilst the ship is sailing from the UK the British Twists are present, but will probably end in October 2018 when the ship repositions to the Mediterranean. 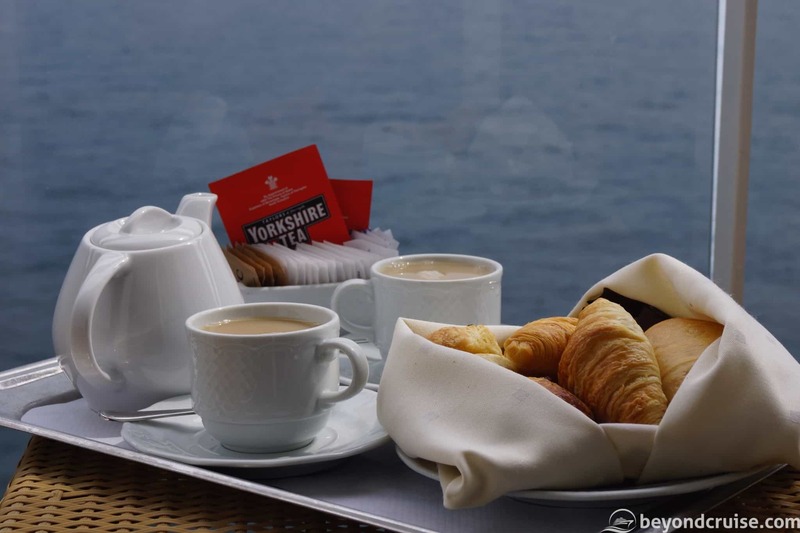 Don’t forget there are also food options via room service in your cabin and as standard, there are tea and coffee making facilities available for you to make your own drinks if you wish. 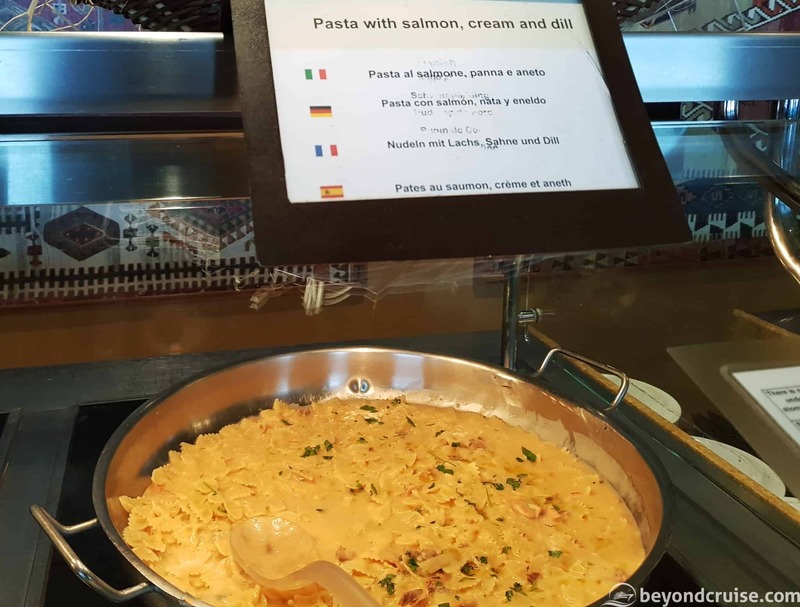 We hope you enjoyed our Ultimate Buffet Guide onboard MSC Magnifica. My wife is celiac did you see any gluten free options?